This is a part of a special series I want to start writing about, covering interesting technology companies and services in Japan. Most of the information I gather are from friends and colleagues, since my Japanese reading abilities seriously limits me from trying out a lot of these services. Recently I learnt about a very interesting service called Yaki Niku Bu .. I was recently looking for a smarter way to draw my team's organizational chart. The longer, fancier way is to meticulously build the org tree using your favorite vector/office tool (like visio, powerpoint etc). It is perfectly doable for a smaller team. But what if your org has ~300 people. Are you getting the new Nexus 5? Google recently unveiled the much leaked Nexus 5 and there weren't a lot of surprises. The Google flagship phone comes with a 5' 1080p display, the latest snapdragon 800 processor, the excellent LG G2 chassis with a super thin bezel, and finally, a decent camera sensor with optical image stabilization. 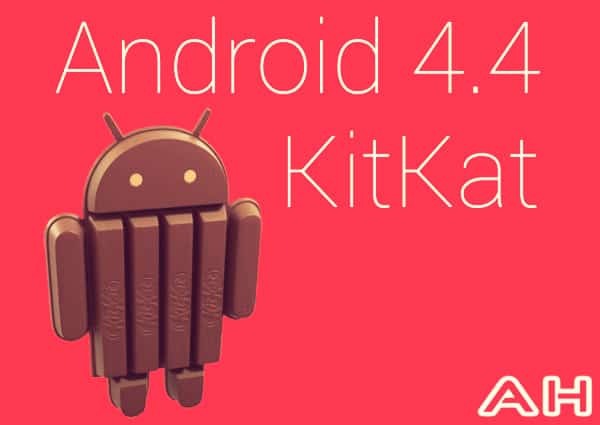 Besides the top of the line hardware specs, it's also the first device with Google's latest and greatest Android 4.4 KitKat OS, which brings a plethora of new features, under the hood optimizations and UX fixes. And if all these weren't tempting enough, the attractive off contract unlocked prices $349 (16 GB) and $399 (32 GB), make it the best value smartphone on the market. It also performs respectably and in some benchmarks outperforms comparable models from Samsung and HTC sell for $250-$350 more. iPhone 5c - A sleeper hit or a mispriced flop? 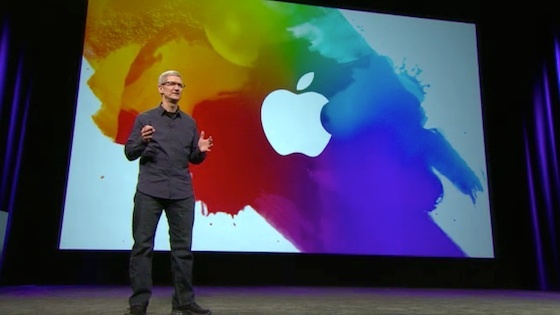 Tim Cook's big reveal on September 10th, left a lot of us with mixed feelings. Amidst all the rumours, analysts and tech enthusiasts had expected Apple to announce two new models of their next generation phones. One, a premium, top of the line flagship phone, priced similar to last years iphone 5. And then a lower tier model aimed at emerging markets and budget conscious consumers. On September 10th Apple announced 5c, a not so cheap, "Unapologetically Plastic" and colorful avatar of iPhone. With a new hard shell case, it has almost similar internals as last years iPhone 5, and is priced just $100 lower with contract than the more expensive and better built 5s. Apple was quick to point out that 5c was no means meant to be a cheaper alternative. In all its marketing promos, Apple highlights design, fun and style, and never once mentions prices and features. In fact, the 5c, unlocked starts at a steep $549. Apple recently announced that they had a record opening weekend, selling 9 Million iPhones. This is quite fascinating, since it's 80% higher than last year's launch (5 Million). A key driver for this incredible figure is the first time, simultaneous launch in China. In fact according to Asymco, if you include last year's first weekend sales in China, the growth is actually a more modest but still strong 28%. I was curious what population of Apple's customer segment would be interested in a cheaper looking phone with last year's specs. Would $100 lure them away from the iPhone 5s, which has far better build quality, a 64bit next generation processor, better camera and most importantly, the revolutionary touch-id sensor. Rather than cannibalizing their own product, Apple's play seems to be more towards attracting Android and first time buyers into their own ecosystem, meanwhile maintaining their high profit margins. But have they priced it too high? 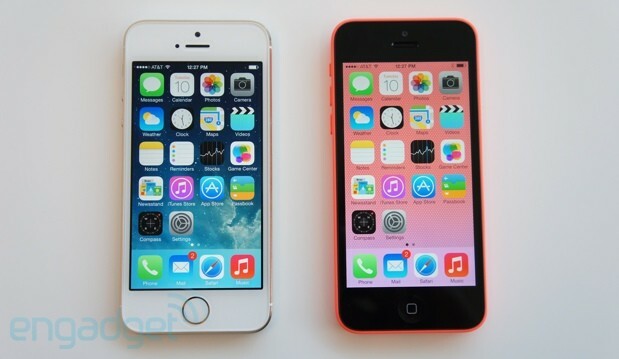 Apple did not reveal the split between the two models, however initial reports suggest 5s outselling the 5c 2:1. Due to the lack of public data, I asked Google Trends, what people were searching for. And right now, iPhone 5s trumps 5c by 2.5-3:1. It's obviously unscientific to relate sales volumes with search queries and it needs to be taken with caution. However, it does reflect consumer interests around these two products. Recent news suggests retailers like Walmart and Best Buy have already started discounting iPhone 5c prices by $50 (via gift cards) to counter disappointing 5c sales. Consumer Research firm NDP also reported Apple cutting back 5c production by 35% and increasing 5s production by 5s to meet demand. Regardless of how this plays out, Apple is all set to have another record quarter. They will sell millions of new iPhones. Apple, recently in a regulatory filing, also said that its sales and gross margin for the quarter ending this month will be at the high end of its forecast of $34-$37 billion in revenue and gross margin of 36 to 37 percent. As a tech enthusiast, I am just excited to see what they have in store for us in their big reveal this October 22. New iPads, macbook pros, and maybe something magical that you can wear on your wrist. File transfers have been notoriously painful between Linux and Android. While it works seamlessly on Windows, and on Mac you can use the Android File Transfer App, let me show you how to get his done on Linux. There are many ways to achieve it, but I'll use gMTP, which gives you a nifty little UI to manage file transfers. Later on, I'll also list other alternatives, in case this fails. So let's begin. 3. If you have only 1 android device attached to your pc, just click on Connect. It should automatically detect the device and show you the directory listings. I have noticed there is 30s-1min delay for the connection to happen, so do give it some time. 4. Once connected, you can drag drop files to and from your device. 3. Try go-mtpfs: There is a detailed video below on mounting your device. I have limited success using this but I'll keep trying. Hope this helps. Do drop me a comment on how the above methods worked for you. And if you have found other alternatives. I have been waiting to get on to the Quantified self movement for a while now. So when I heard about the tiny $99 Pulse, I had to give it a try. Quantified Self is all about measuring and understanding yourself for your overall well being. It started off with people just writing things down on a paper, then to simple pedometers, smartphone apps, wifi connected scales to the current generation of fitness trackers like fitbit, jawbones, Nike Fuel band and now the Pulse. I already own the original Withings wifi scale which is a fantastic device. I owe it for the 37 pounds I have lost over the last 2 years. Weighing-in and seeing your weight curve drop everyday is a strong motivator to stay fit. I have been fascinated with the current generation of activity trackers and was trying to decide which one to get. The Pulse is a tiny little tracker which records your steps, elevation, distance, heart rate and sleep. Like other products in the market, it knows when you are walking, on the train or running. And then sends all this back to your smartphone. The Pulse has a couple of interesting features that sets it apart from its competitors. It offers a Bluetooth sync which works with any iOS or Android 2.2 and above device and does not require BLE 4.0 (low energy). Hold the top button for 3 seconds and the data gets synced with your smartphone. Do take note, it only syncs to a mobile device. Desktop and PC over USB is not supported. It also has a passive heart rate monitor. You touch the light sensor in the back panel to measure your heart rate. There were some people who were disappointed with the lack of an active HRM functionality in the Pulse, but having owned a Bluetooth Scosche HRM, I am glad it doesn't. You sacrifice battery life for data that is hardly useful, unless you are runner, in which case you should get a Polar or a Garmin, which can also give you Cues. Besides the above mentioned features, it also boasts a touch screen where you can swipe to view the history and to turn on the HRM or the sleep mode. Withings has definitely packed a lot in a nice little design however it is far from perfect. Though it has gotten better with recent firmware updates, the Bluetooth sync is still quite buggy. The battery life lasts just over a week versus the advertised 2 hours. Unlike fitbit flex or the jawbone, you need to wear the included special wristband sleeve and set your Pulse to start tracking your sleep. It's quite a hassle and due to these additional steps, I hardly use this feature. The Pulse is also quite diminutive and easy to lose. If you aren't careful it might end up in the washing machine with a pair of your jeans. My other pain point with the device is the default goals which you can't change. You have a daily goal of 10k steps which is like 10kms. I live 800m from my work. Unless I go for a run or a long walk, it's quite challenging for me to meet the 10k goal. Similarly, for sleep the goal is 8 hours, which I think is too long. Like all activity trackers, it senses only movements. Hence if you spend a lot of time in the gym, it may not be the right tracker for you. My last complaint with Pulse and all its competitors are that they collect data but don't give meaningful recommendations. Wouldn't it be cool if it sent you a notification to take a day off if you over exercised the previous day. Or gave your workout advice. Besides a long list of misses, it is still a commendable first attempt and is probably the best in the market. I also like the fact that they have an open API. Where Fitbit, Jawbone and Nike have a walled ecosystem, in future you should be able to share your Pulse data with other devices and apps. The Withings scale already does that and has great integration with apps like Runkeeper and MyFitnessPal. I also feel the mobile app has a lot of potential and will evolve with time. I have been using the Pulse diligently for over a month now, and despite its quirks, it is a great first tracker, if you want to improve your overall health. It is easy to use, quite responsive and I like having a display. However if you spend more time in the gym or other activities, I would suggest taking a look at the Amiigo. It recently got crowd funded and promises to revolutionize fitness tracking! The phone typically costs S$998. So If you go for the cheapest S$38/month plan, you end up spending S$912 over 24 months, while paying S$549 upfront. That's a total of S$1461 or ~S$60/month combined for the next 24 months. Which to be fair, is not a bad deal, considering how expensive similar plans are in other countries. I bet US readers are well aware of how complex AT&T and T-Mobile plans are. Hence look at the total cost of owning that phone. In markets where phones are not subsidized, it's a lot more straightforward but phones typically are also very expensive upfront. It costs INR 44,900 in India, very similar to the price in Singapore. However, keep in mind the per capita income of India is 50 times less. Brand is the second biggest consideration. If you are in a developing country, there are a lot of cheap knockoffs you can get, for 1/5th the price. The internals are quite competitive but the build quality might be a but finicky and software quite buggy. The flagship phone for a locally popular OEM called Karbonn, is called Titanium S9, looks like a Note 2, and costs under $325. Lenova and ZTE have similar phones in China. It's always recommended to get a Samsung, HTC, LG, Sony or Motorola, but I would also suggest giving the cheaper OEMs a try especially if you are on a tight budget. The thing is normal users don't need bleeding edge parts - quad cores, a full HD screen, more than a Gig of Ram, the latest Qualcomm Snapdragon etc. Features and specs are important but normal users don't need the best specs. In fact, I would argue, the battery consideration should be the foremost feature. What's the point of having the best specs when you phone can't even last a day without charging. For a lot of users, calling and browsing might be their biggest use case. But if you need the best camera or the fastest processor to run the latest Batman Arkham Asylum game, you definitely need a top line phone. You can get a Galaxy Note 3.0, Galaxy S3, HTC One, Moto X or the LG Xperia Z1. All are great devices. Also take note, their resale value also tends to be higher. Now let's talk about software. Google's vanilla (stock) Android is beautiful and clean. I hate it when manufacturers load their own skins as a key differentiator. Samsung's TouchWiz looks and feels quite different to HTC's Sense UI. I also hate the crapware that comes bundled with some of these phones. Since everyone has their own taste and preferences, do give each phone a try, to see which interface is well suited to you. If you hate all the skins, you can always run Cynogenmod and get close to stock UI. Lastly, comes the discussion around the version of Android. Google is busy working on Android KitKat 4.4. Each version of Android comes with bug fixes, performance improvements and new features. In an ideal world, all Android devices should run the latest and great version of Android; However, in reality manufacturers are a) either reluctant to update the phones to compel users to purchase their next flagship phone b) their own UI/skin customization makes it harder for them to quickly release an updated version of the OS. Both of these can be solved by using a stock ROM like Cynogenmod, however there are multiple steps involved, including rooting which voids your warranty. The folks at Cynogenmod recently raised $7M to build an easy installer and make the entire process quite hassle free. Which phone do I own, you might ask. I have always owned Nexus devices. Google launched the Nexus program as an experiment to showcase its latest software and to set a device standard which can push the industry forward. Lately they have managed to build great hardware at a very affordable and accessible price. The last Nexus 4 which was built in collaboration with LG can be bought for $299 USD unlocked. The biggest advantage is that Nexus Users get the latest update directly from Google unlike other phones which needs to be pushed by the carrier or the OEM. Obviously for the price, you have to make some sacrifices. The camera is below par and the phone lacks LTE support. In my case, I prefer using my DSLR over my phone for taking pictures. And the lack of LTE doesn't affect me much. Let's summarize. If money is no issue, get the flagship phone from the Top 5 - Samsung, HTC, LG, Sony or Motorola. Unlocked, they cost upwards of $550 and typically $0-$250 with a plan in some markets. Each of them have their own skinned interface, so play around before your decide. Personally, Samsung and Sony have better cameras, HTC and Sony have better build quality, all three have great screens, Moto X is great to hold and performs really well, and if you need a Stylus, Samsung Note is the best option. If you are on a tight budget, give some of the local players a try. All the top 5 typically have an under powered handset in the lower price range which are also worth considering. In most cases, there are work arounds to load the latest Android through a 3rd party flashable ROM like Cynogenmod onto them. And if Google has launched Nexus in your country, and you don't want all the clutter that other OEMs are packing their phone with, you can't go wrong with the Nexus. Waterfall charts are very common. You see them everywhere. They let you visualize a series of Business events, drivers or activities to explain 2 data points. An example below is a 2013 Revenue waterfall for a Business. It explains where the incremental revenue in 2013 was generated from. There are tonnes of excel tutorials out there, but here is one for google spreadsheets. 1. First get the basic data for your waterfall. Mine looks like the one below. Notice the start is 2012 Revenue, the end is 2013 Revenue. And all other rows are either +ve or -ve numbers. 2. Reorganize your data into rows and columns below to plot your stacked column chart. This is probably the most important step and I'll explain in detail. For our stacked chart, we need 2 bars. One a base bar which will control the height, and then the second bar to plot the positive and negative values for each row. Bar 1 and Bar 6 are the initial and final bars in the waterfall. Bar 2 to 5 control the height of each waterfall element. Negative values are trickier, since in a waterfall chart, negative values are displayed as bars starting at the same height as the previous bar, and going down. We achieve that using 2 simple formulaes for the Base and Bar 2-5. 4. Now some formatting tricks to make the waterfall appear. Did you find this helpful? Feel free to share your comments. And if there are better ways of achieving the same, do share them across. Thanks! Back when I owned an iPhone, not too long ago, I stumbled across PlainText, a free app by the Writeroom team. It was a barebone minimalistic writing app which would sync with dropbox, enabling me to continue writing cross device and cross platform. That's when I discovered art of minimalistic distraction free writing. All you get is a full screen of blank canvas. No intruding buttons, plethora of menu options or distracting bright colors. As a writer, you focus on simply transforming ideas into words. When I moved to the Android platform, I was looking for a similar alternative. I stumbled across Epistle, which worked really well. The only feature it had missing was the ability to manage folders within dropbox. Recently, I discovered Epistle has been discontinued and the developer has released a new paid app called Draft which unlike Epistle, is actively developed and has fixed some of the gaps. The app is just ¥245 ($2.5) and I fully intend to purchase it and support the developer. However, before that let's quickly check out the free options currently out there. 1. Writer : A light, no frills app with very basic features. Great for taking notes. No folder support. No native dropbox support, however it saves notes in separate txt files. And in theory you could sync it with dropbox and google drive. 2. Light Paper (free): A fairly new app which looks quite promising, and offers tonnes of features. Connects to dropbox, tumblr and wordpress. Supports Markdown and spell check. However in my test on my Nexus 7, I found the free app quite buggy. The bottom ad is quite distracting, the on screen menu buttons did not work well, and it did not autosave my work. I hope the paid app works as promised. However, do give it a try. 3. Write, in the cloud: A less known app, which is my current app of choice. Similar to Epistle and Writer, it's a very simple app, with very basic features. During the first run, you specify the drop box folder and then there are no other options to configure. Everything you write gets autosaved. My only issue with the app was the lack of specifying font sizes. My eyes aren't getting any younger. Larger font would be nicer. Highly recommended if you aren't looking for a lot of features, and need a basic text editor that syncs with dropbox. There are obviously a dozen more apps on the play store. Which app do you use? Do drop your comments below. And happy writing! If you had issues trying to create a bootable linux usb for a pc, from your Mac, the below tutorial might help you. Even though it sounds slightly ironic, creating a pc bootable linux distro from a Mac, it's a situation I recently faced. So sharing the workaround. locate the name of your usb device. In my case it was rdisk2. Depending on your OS version it could differ. 5. Now download and install UNetbootin for Mac, and proceed as usual. Select the distro and click ok. I have lost count of the number of hard disks I have lost over the years. One would expect after years of repeated mistakes, I am more prepared and the road to recovery should be easy. However, it wasn't. So this is what happend. I have an year old Acer Aspire X3950, a small form-factor desktop, running Windows 7. A few months back, the first blue screen appeared but Windows 7 restarted without a hitch. Then suddenly, a couple of days back, the system refused to boot. Since most of my important data is backed up on my external 2TB drive, I wasn't too worried. But since my PC came with Windows 7 preinstalled, without any recover disks, my license key was tied with the OEM. There are ways to download a free legit version of Windows 7 and activate it using your OEM key, but it's a bit tricky. Acer, like most manufacturers these days, keeps the recovery image on a separate hidden partition. You are expected to burn recovery disks on day 1 of purchasing your pc, which I had refused to do, since it took 3 DVDs! Storing disks is a pain. Luckily, I remembered, I had created bootable isos of the recovery disks. I'll share in a separate post, on how to create recovery isos, without actually having to burn them onto DVDs first. I ordered a new HD on Amazon, this time a 2TB Seegate Barracuda. Hitachi has already failed me couple of time. However, I had never opened this pc case before. Due to its small form factor, removing the HD could be tricky. The last pain point was reviewing the disk just to make sure everything important was already backed up, before I could switch the hard disk, of anything that was still accessible. A bootable live linux CD would do the trick, which I did not have. My other pc is a MacBook Air, with no optical drive. So burning a disk was out of question. I'll share details in separate posts but this is what I did. As you see the process was extremely time consuming. And definitely not something for an average user, which is probably a reason why Macs with Applecare are so popular these days. On the hindsight, had the drive not crashed, I would have never learnt how to replace parts on my compact desktop. And I would have never tried Linux again, after so many years. A separate post later on my impressions, trying out Linux after such a long time. I found an interesting problem recently. We have a shared google docs at work for folks to sign up for hobby clubs. The idea was people to sign up against clubs by adding their names in a cell. In the next week or so, the docs was filled with names and I wondered if there was a cool way to count the people who had signed up, using a simple formulae. So here is the solution, which works both in excel and google docs. Since each name is separated by a single comma (,) the total number of people signed up is the count of Commas in a cell + 1. Let me explain how this works. As the name suggests, Substitute replaces a certain text/character ( in our case ,)within a string, with something else. Trick is to replace it with empty string (notice nothing between the last double quotes), and count length of strings before and after. So if there are 5 commas, Substitute returns a string 5 characters shorter, and that's what we want. Pretty easy right! Hope you learnt something new today. Happy number crunching! I deal with huge data around dates all the time. Be it daily revenue, volume or activities. Though daily data is interesting, we often need to aggregate data into weeks, months or quarters, to see trends, forecast projections and track them against targets. Here is a quick tip on getting you the year, month, quarter and weeks from a given date. Read on. The formula is quite simple. Formula for Quarter and Sem Annual labels are bit tricky. Simple. Isn't it. Here is another tip. When you press Control + ~ (tilde), all the formulas on your sheets will be visible. Press the same combination to turn this off. Happy Excel Crunching! SUMIFS is probably the most useful feature, Microsoft rolled out in Excel 2007. It lets you SUM a range, using multiple criteria. For instance, in the situation below, if we wanted to find out how much John made in 2010 Q3, you could use this simple formula. Now how do you do this in google spreadsheet? Unfortunately, it only has the older SUMIF formula, which lets you select a single criteria. Let's see how to make it work. SUM can be chained with the FILTER formula, to achieve the same results. The syntax is very simple. Are you curious, what the next iteration of Windows has in store for you. Windows 8 developer preview is now available for download. Head over to MSDN and give it a try. Virtual Box is a great free cross-platform Virtualization application which is easy to set up and lets you run different OS instances in parallel. 4. In the later screens, allocate 10-20GB (or lower) for the VM and chose dynamic expansion. This takes shorter time to set up and Virtual Box will dynamically increase the VM space as when needed to a maximum of the earlier chosen capacity. 5. Once the VM set up is done. From the Virtual Box home screen, select the VM and click Run. The first time, you would be greeted with a First Run Wizard. Select the Windows 8 Developer Preview file you just downloaded (*.iso file). 6. The VM would now boot with the iso, and Windows Installation process would begin. To switch controls back to your desktop OS, press Right Control in Windows. 7. Follow the instructions on-screen. Chose Custom (Advanced) as the type of installation. 8. That’s it. Wait patiently for 25-35 mins for the setup to complete. Once done, the VM will restart and you voila, you are right inside the new Metro UI. Do note, it’s a developer preview and could have loads of bugs and issues Enjoy! My last phone was an iPhone 3GS. I had queued over an hour at the Singtel office, alongside thousand others. This was July 2009. Back then, the choice was almost too simple. iPhone was the best touch phone money could buy. The first wave of Android devices were underwhelming (Remember HTC Hero and Magic!). Nokia was struggling to innovate. And Blackberries were (and still are) just dull and uninspiring. Fast forward 2 years, my contract has ended, and I am on the lookout for a new phone. And the decision is not that simple anymore. As Techies like to quote, it's not just a phone you choose, it's a way of life. I could take the Android route, after all the market is flooded with Gingerbread devices. The Samsung Galaxy S-II looks enticing. Or I could just wait for the rumored Nexus Prime and Ice Cream Sandwich. My first computer was a 40MHz intel 386 with 8MB Ram. The newer Android phones are dual-cored 1200MHz Arm with 1 GB Ram! But then, every now and then, titles like Contre Jour are released by publishers like Chillingo, which makes it so hard to leave the iOS universe. I can still hear the game's music buzzing in my ear. It's not just the svelte marketing that sells iPhones. It's also the top notch quality of the apps. What do I do with a dual-core super phone if I have nothing exciting to run on it? The new iPhone is rumored to be unveiled in late September/Early October and should hit the shores of Singapore (hopefully) by November. Now the last big twist. I had always hated the previous iteration of this OS. But Windows Phone 7 brings a fresh new perspective to the smartphone market. I had a chance to try out the new 7.5 mango release, and man does it seem polished. Mango should have been Microsoft's first release, and not a year and half late update. Microsoft is all set to flood the market with new phone partners like Nokia, Fujitsu and Toshiba. Don't discount the Redmond Giants. Not yet. They could be cooking something exciting in this week's Build Conference. I hate the thought of being locked up for a year with an obscure phone (and an expensive plan) when exciting device launches are right around the corner. It's definitely a 3-headed race for the smartphone supremacy. And I guess I will just have to sit this one out for a few more months. Till then, my trusty ol' iPhone, don't die on me... just yet. *All views expressed here are the author's own, and do not represent any company or an organization. All information shared are public. Tumultuous times at HP. Just 49 days after releasing the first webOS based tablet, HP announced it is discontinuing its webOS devices. The company now plans to "optimize" the value of webOS after spending nearly $1.2b on Palm, a year back. HP could either sell or license webOS off to other manufacturers or more likely salvage Palm's patent portfolio, in a time where mobile patents are a premium. The news was part of a bigger announcement with HP openly declaring its intention to spin off its low margin PC business and focus more on enterprise, software and consulting. 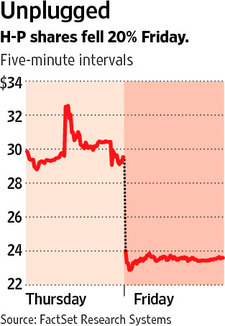 HP shares immediately fell 20% wiping 12b of market cap in a single day. One third of HP's revenue comes from PCs with an operating margin a bit above 5% (2010) compared with 11.7% from its overall operations. HP seems to be taking a page from rival enterprise giant IBM, which successfully sold its PC arm to Lenovo in 2005, after a period of dismal PC sales. HP's exit from both PC and mobile segment will definitely hurt competition. 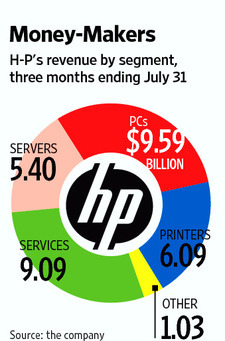 With the US and EU heading for another recession, it will be interesting to see how HP rebounds after the spin off.